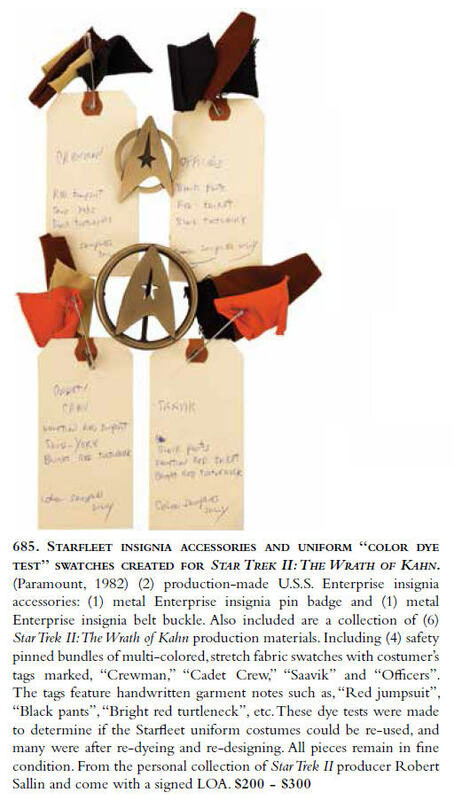 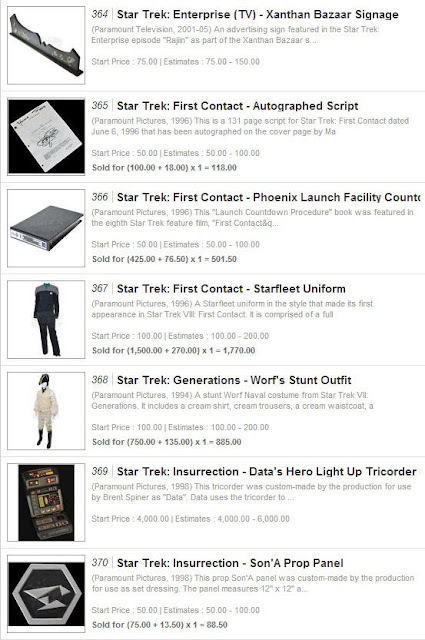 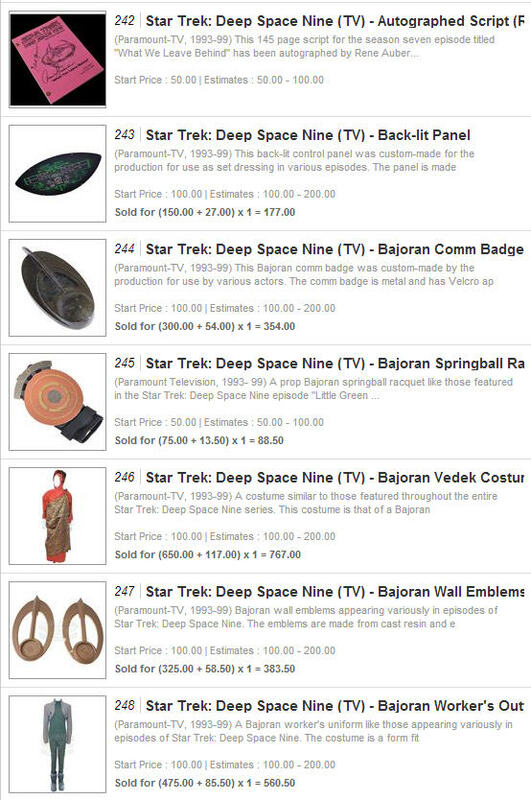 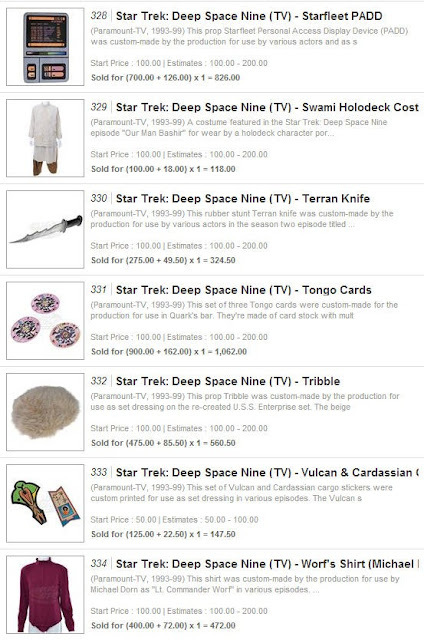 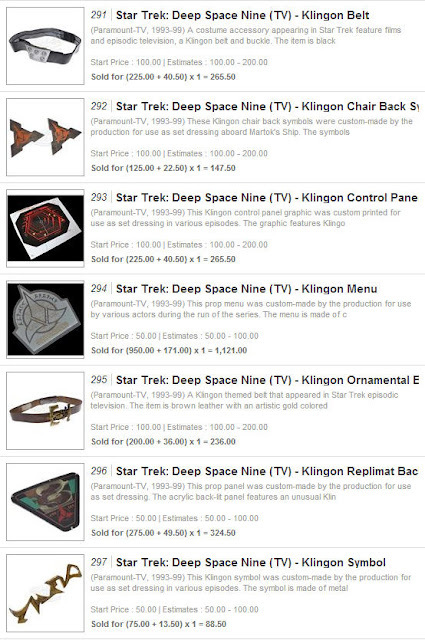 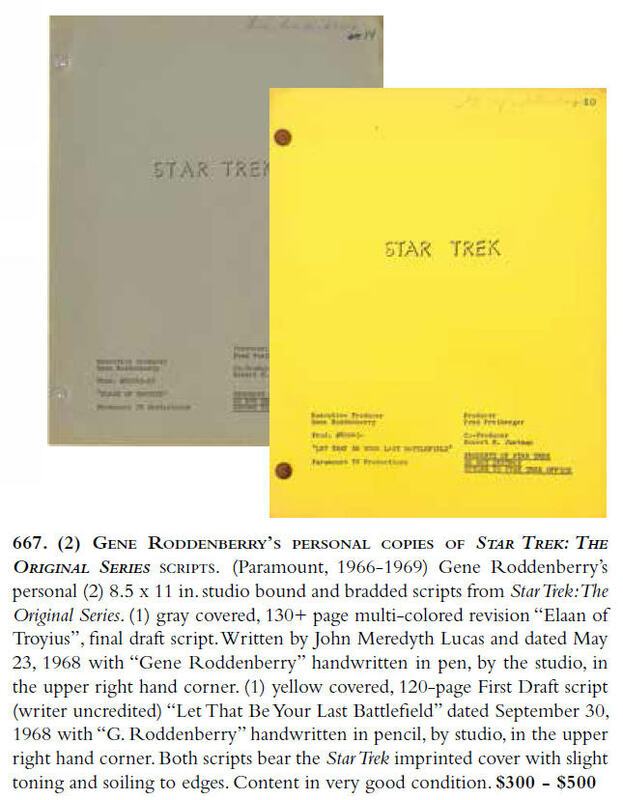 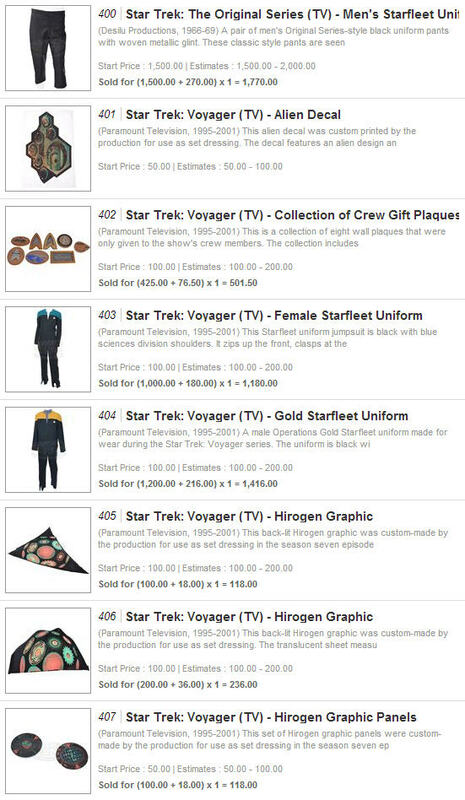 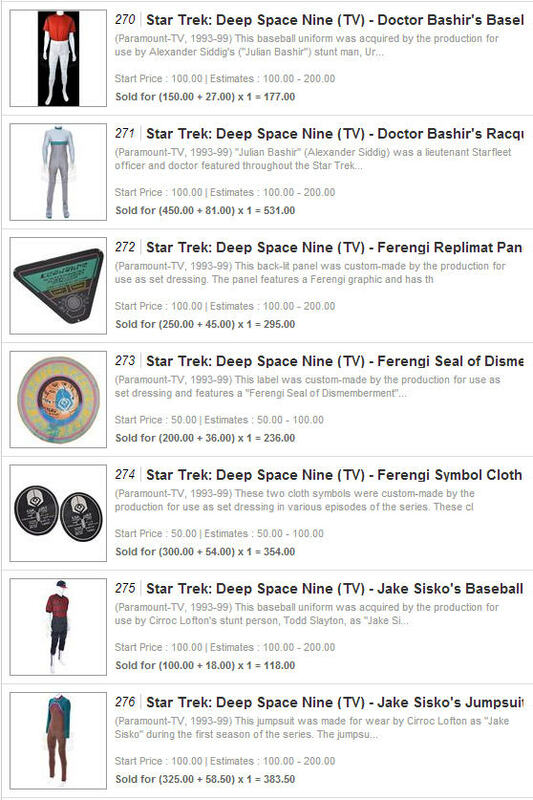 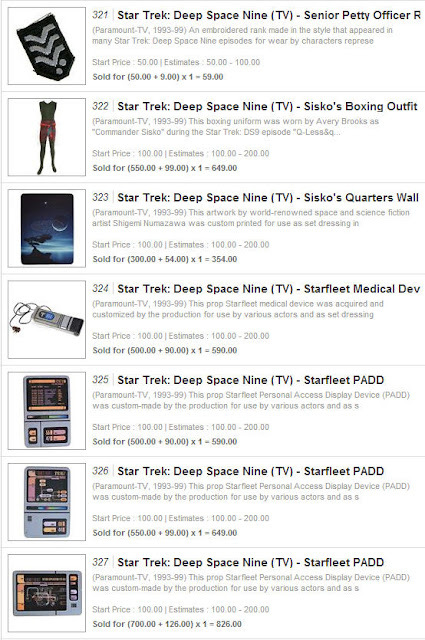 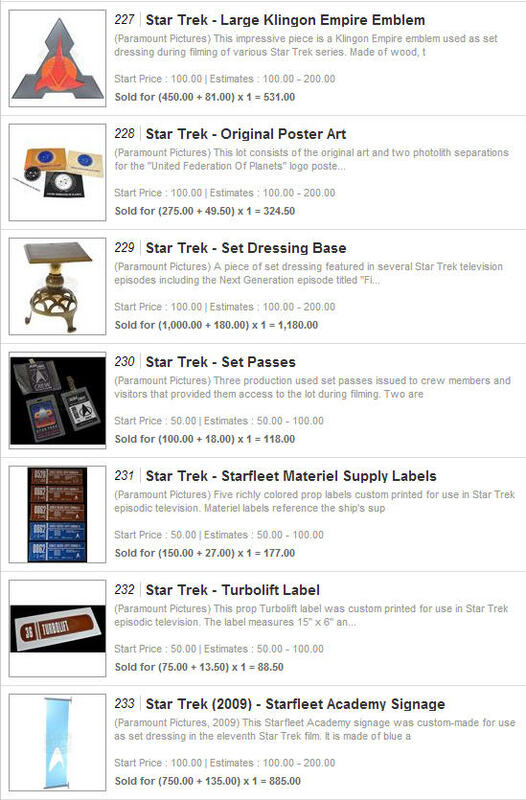 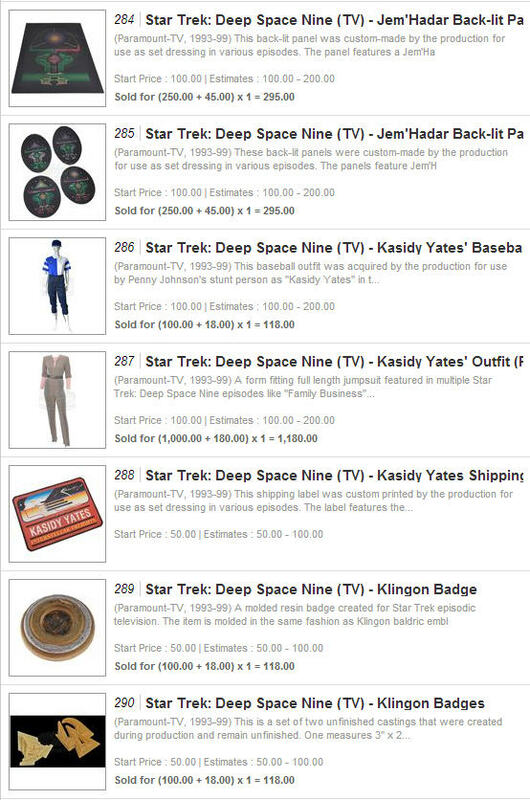 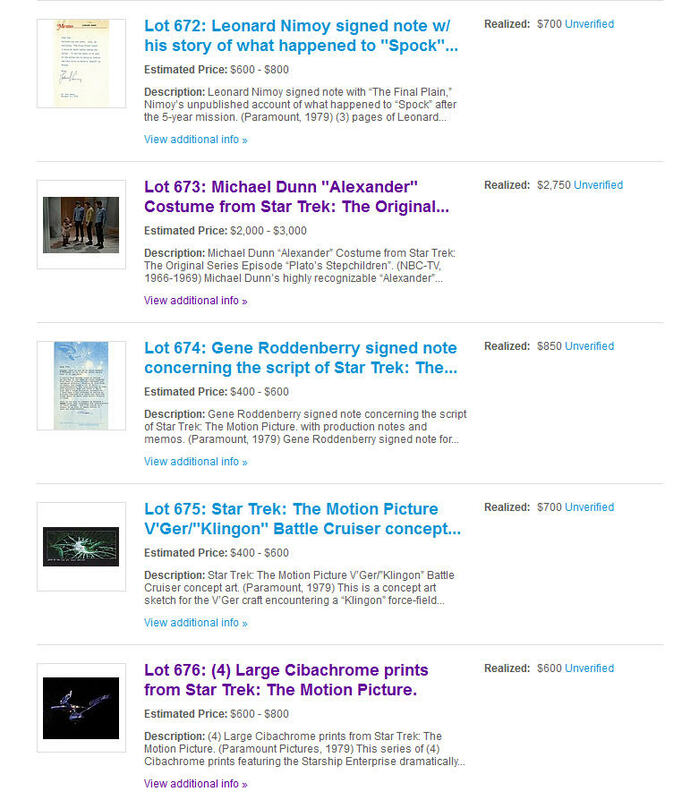 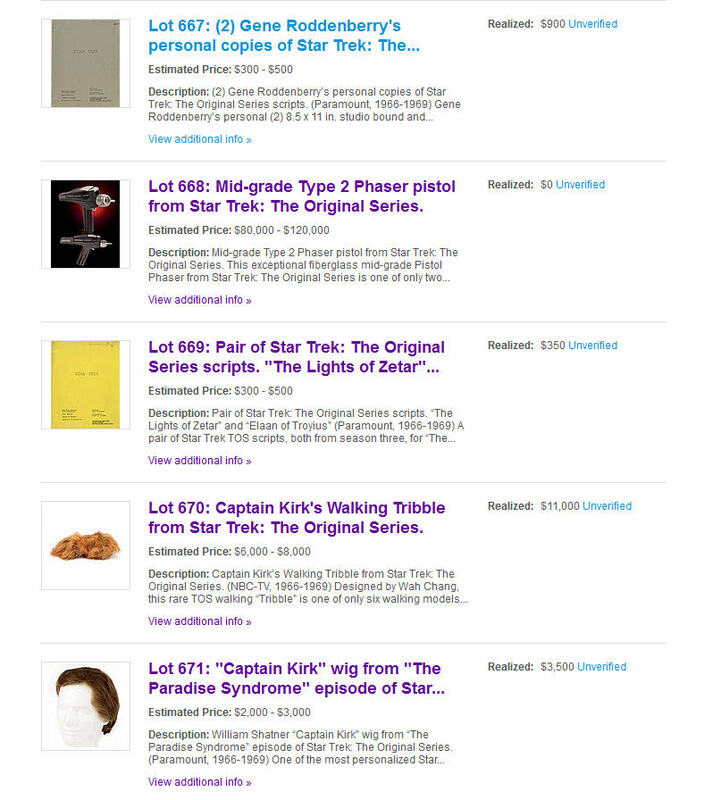 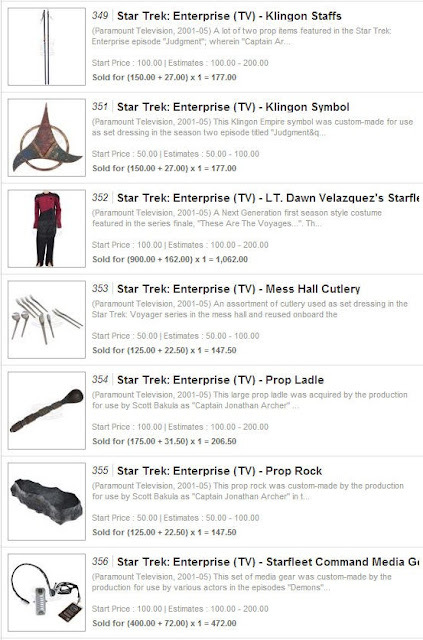 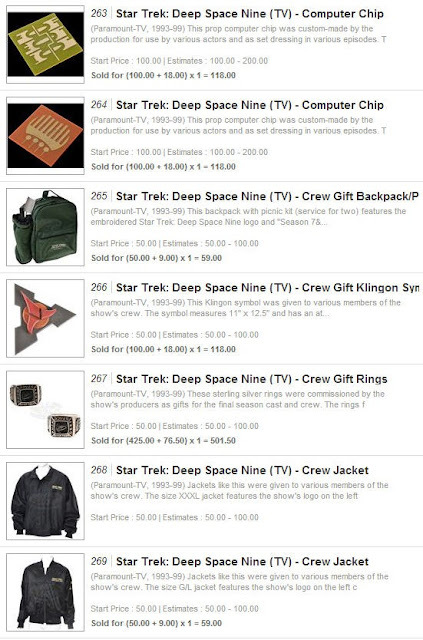 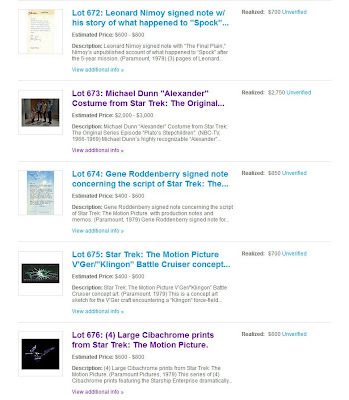 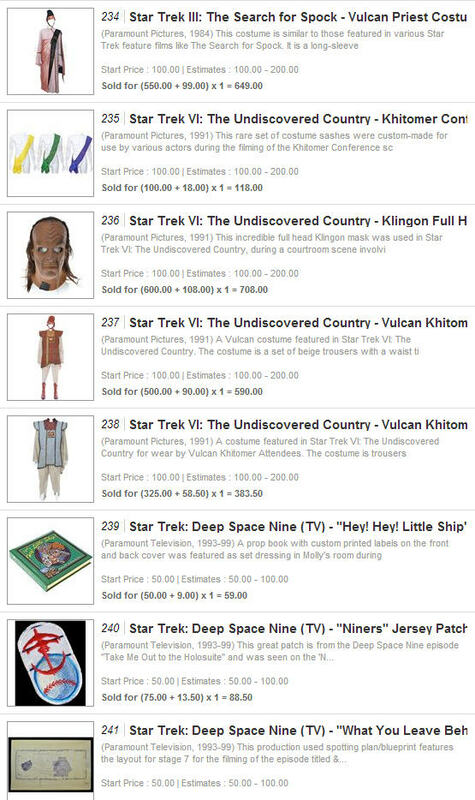 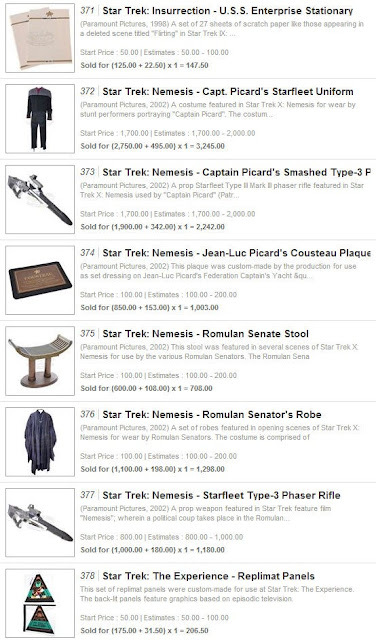 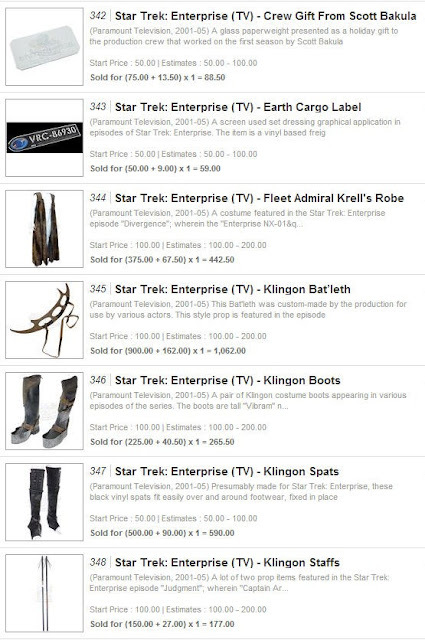 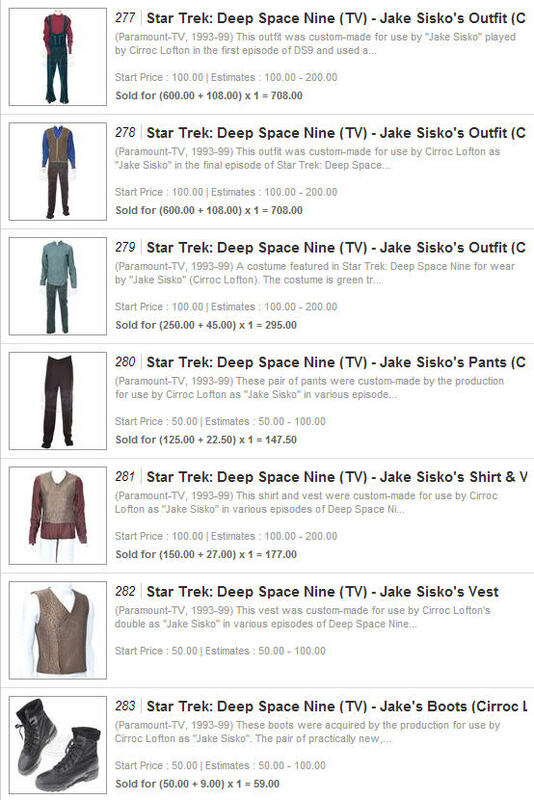 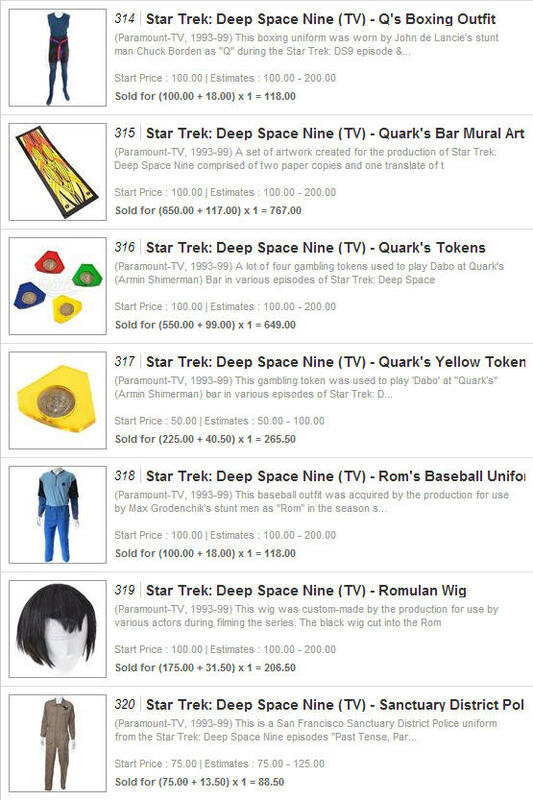 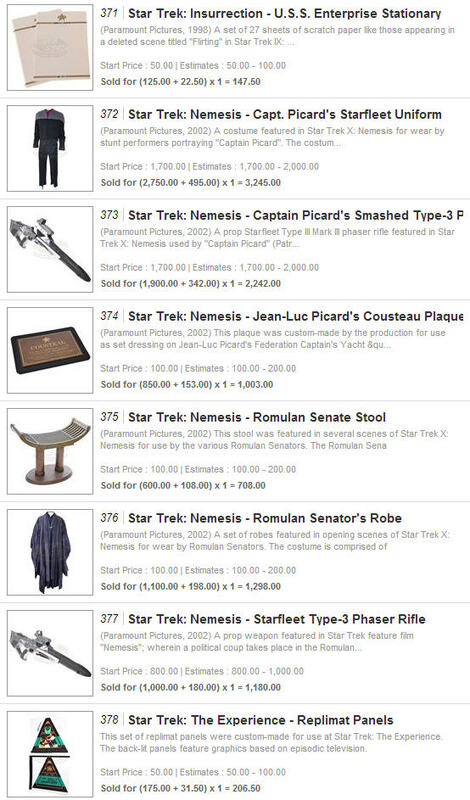 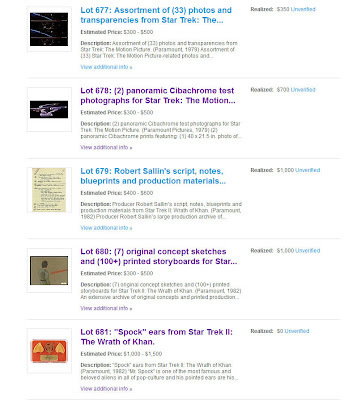 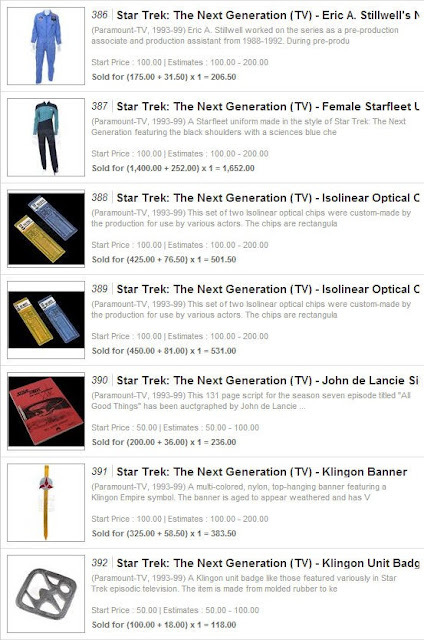 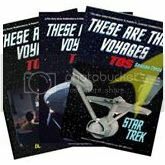 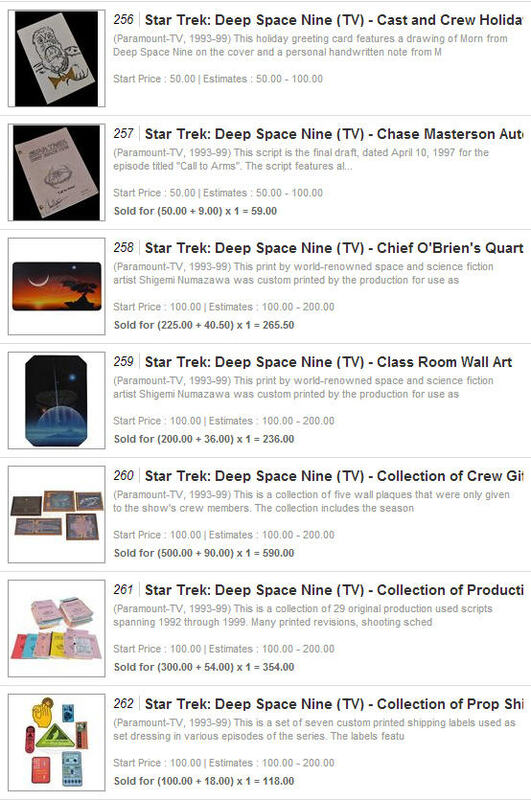 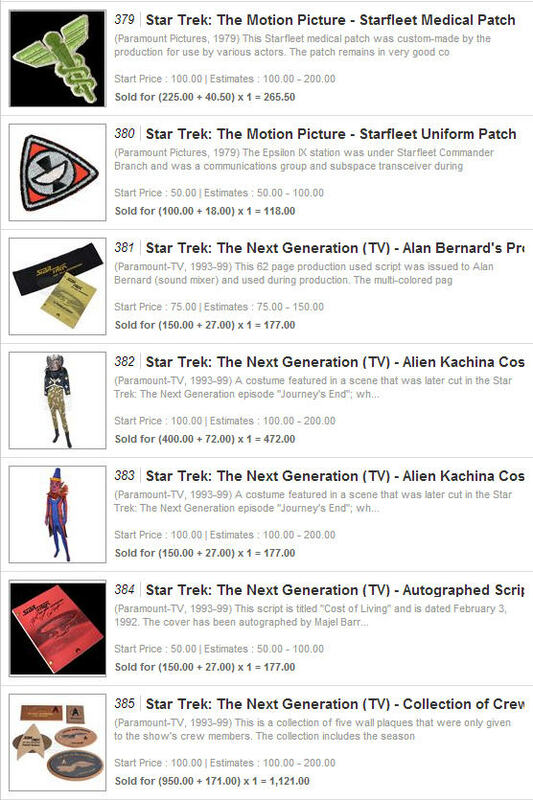 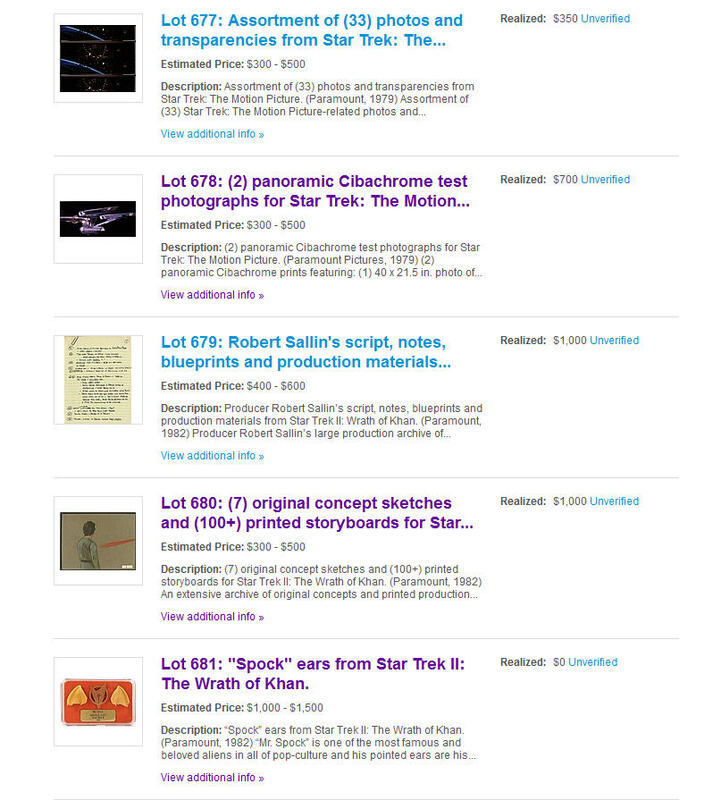 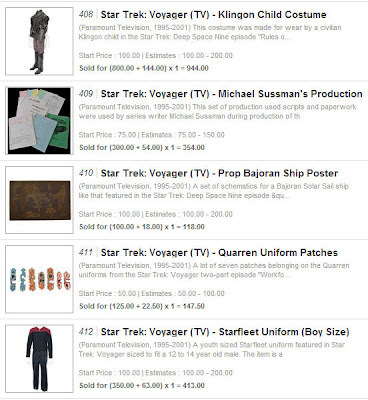 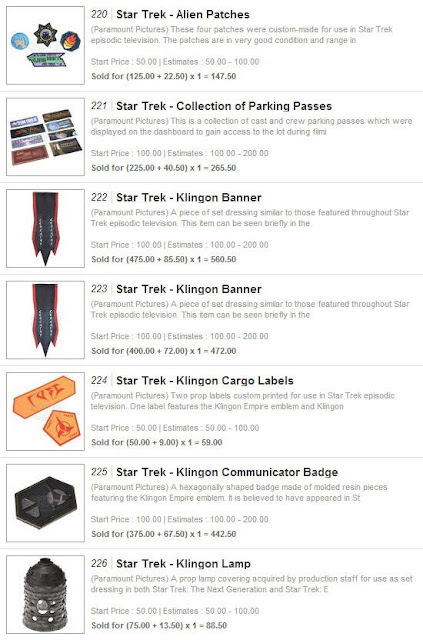 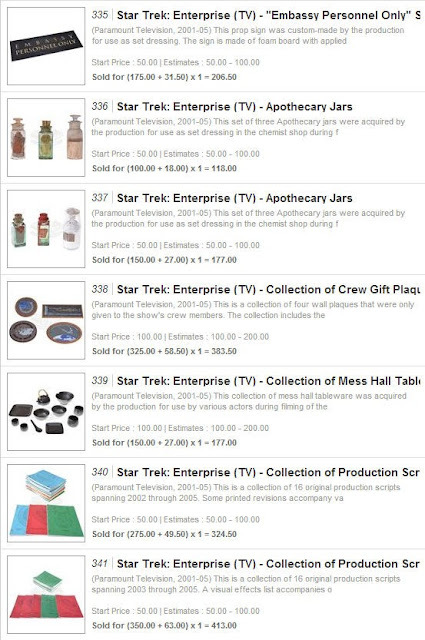 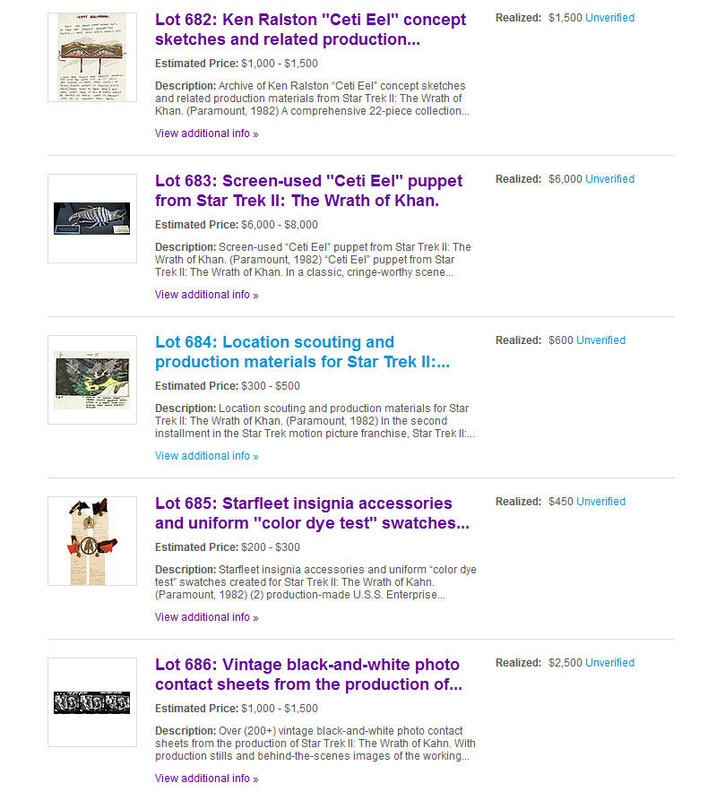 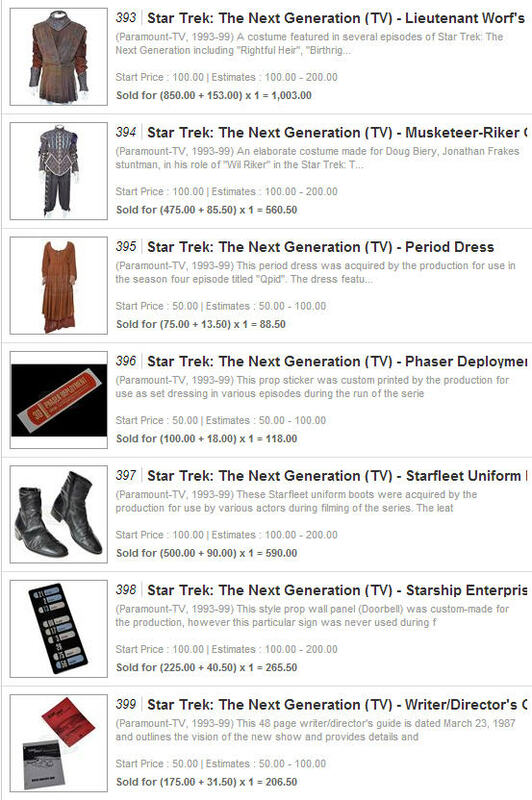 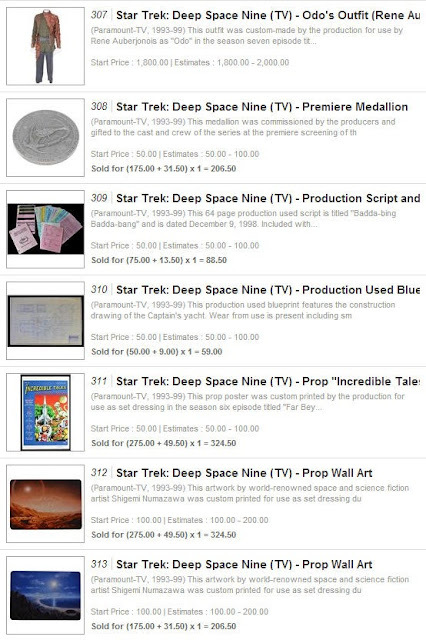 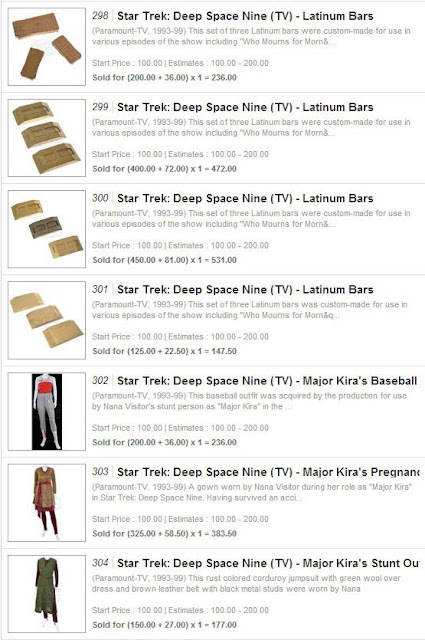 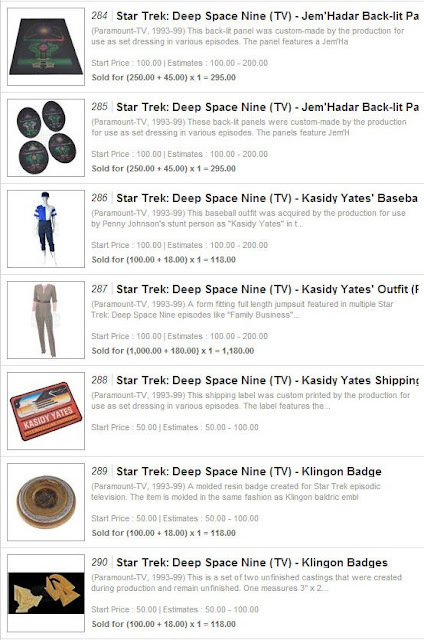 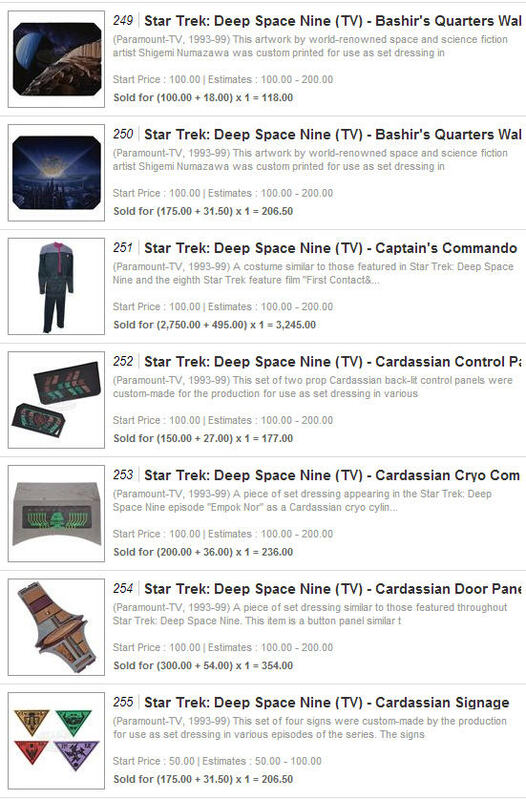 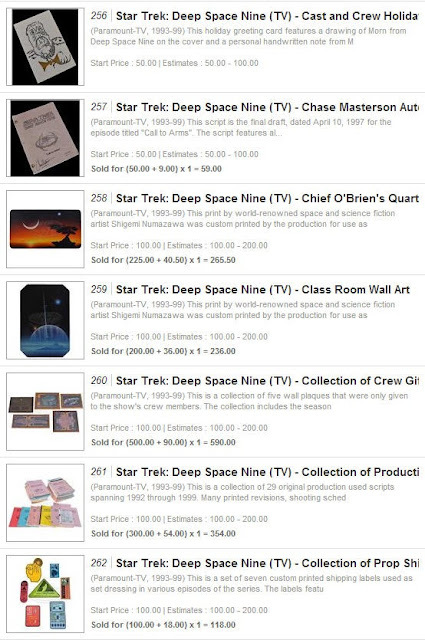 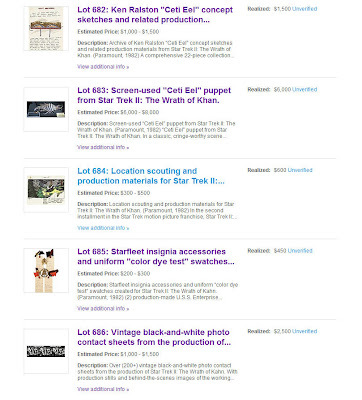 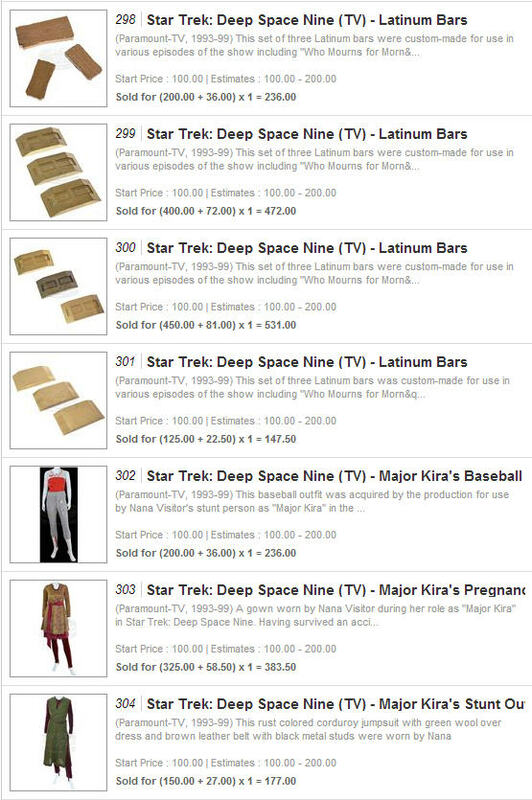 Presented below is the complete set of final prices realized for the 26 lots of Star Trek memorabilia that were offered in Profiles In History's Hollywood Auction 56; which concluded yesterday in a live online bidding session at Artfact.com. 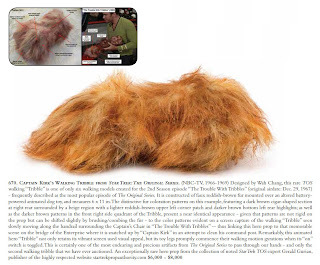 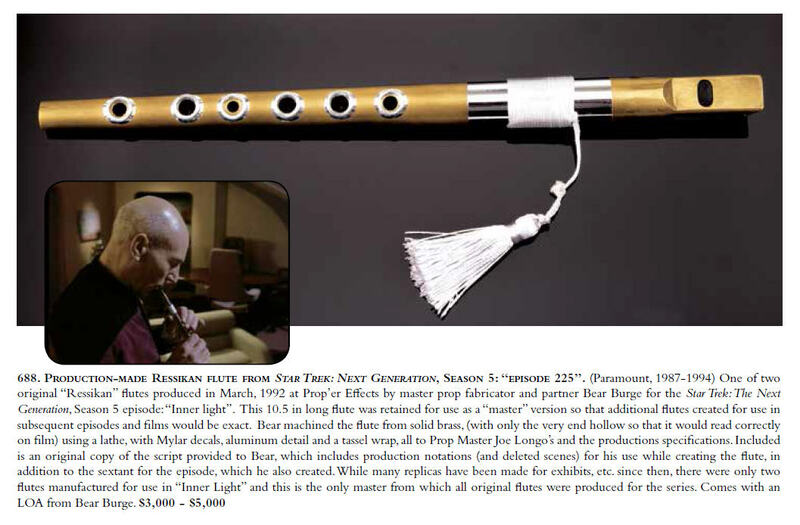 The highlights of the event include a TOS Walking Tribble which drew a high bid of $11,000; a production made Ressikan flute from ST:TNG which realized $6,500; a screen used "Ceti Eel" puppet from STII: The Wrath of Khan that sold for $6000; and a Captain Picard hero working computer from ST: First Contact which witnessed a high bid of $5,500. On July 29, 2013, a spectacular piece of Star Trek history - a mid-grade fiberglass Type 2 phaser pistol that has been precisely screen matched to the Original Series 2nd season episode "Assignment: Earth" (first airdate: March 29, 1968) - will be offered for sale by Profiles In History as part of their Hollywood Auction 56. 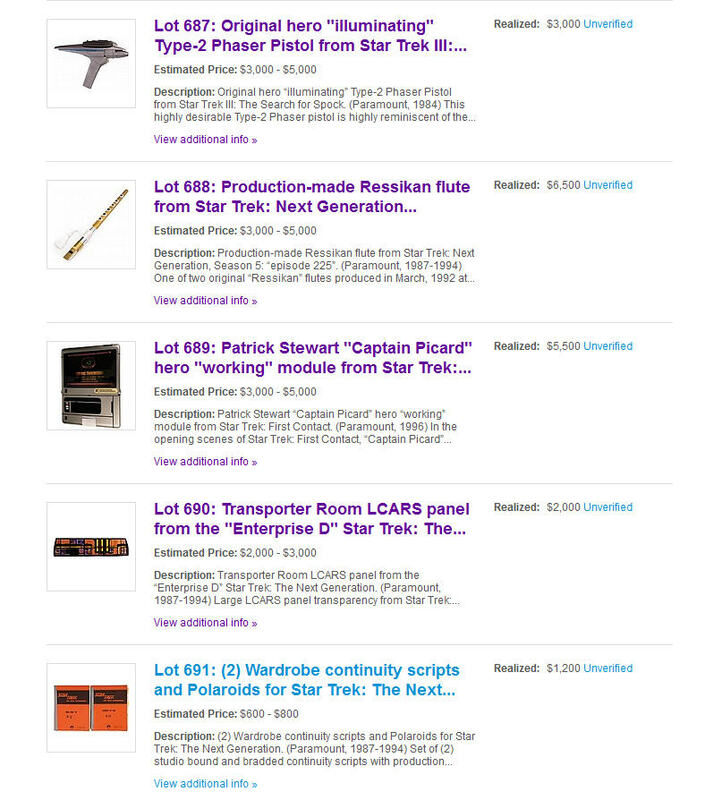 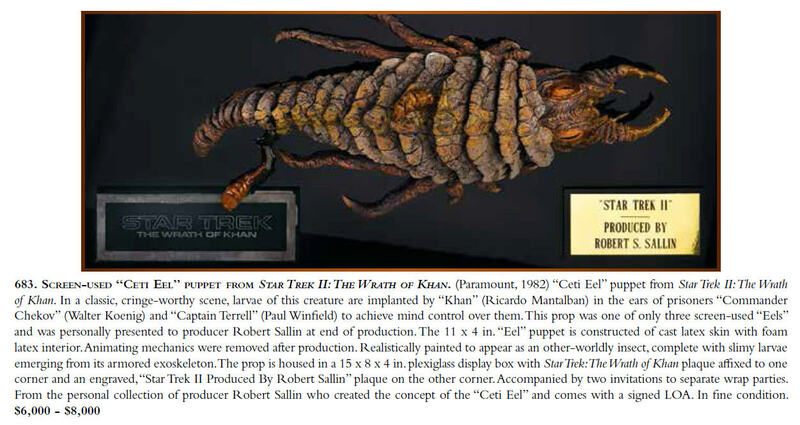 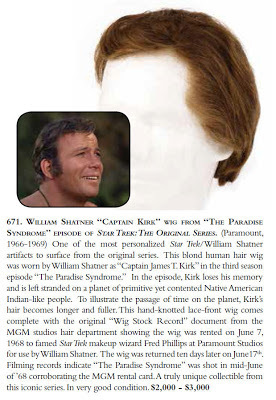 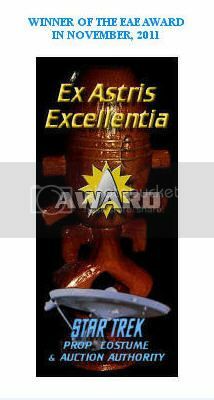 Profiles is unquestionably the most prestigious auction house in the world for Original Series memorabilia; having presented the remarkable Matt Jefferies Star Trek Auction in December, 2001 as well as the Bob Justman Star Trek Auction in June, 2002 - which will always be regarded as the finest public offerings of TOS memorabilia ever held. 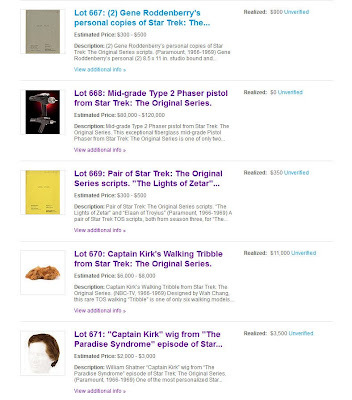 In their unparalleled history with Original Series screen used items, Profiles has presided over the sales of such rarities as Captain Kirk's Command Chair from the Bridge of the first U.S.S. 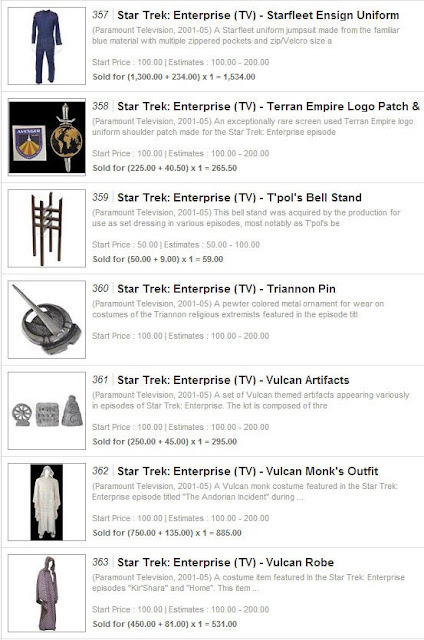 Enterprise, the original TOS Helm and Navigations Console, as well as multiple screen worn Shatner and Nimoy Original Series Starfleet tunics and several exceptionally rare TOS hand props. And, personally, I was honored to participate as a member of the authentication team on the rare William Shatner First Season "Captain Kirk" tunic that sold in their July 2012 Hollywood Auction 49. Yet it is my opinion that Profiles has achieved a new standard of excellence in the presentation of this Type 2 Phaser Pistol to the public for auction. 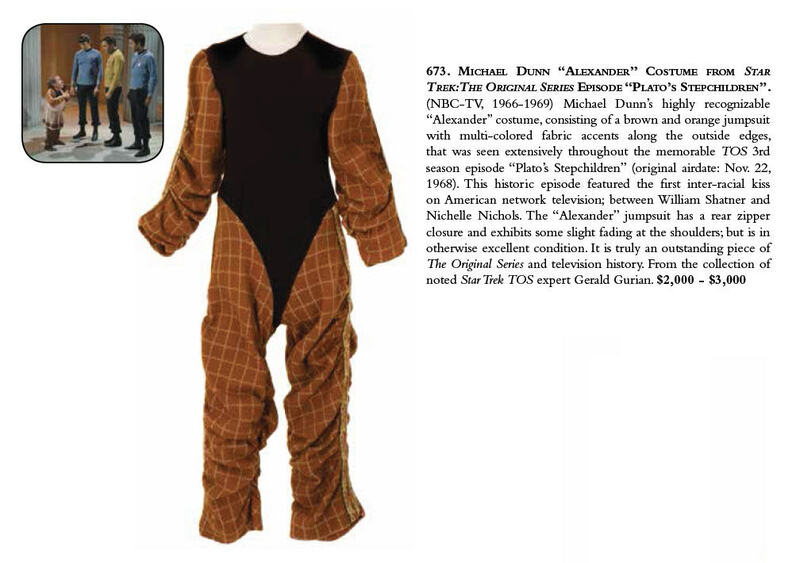 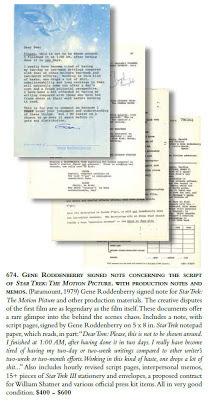 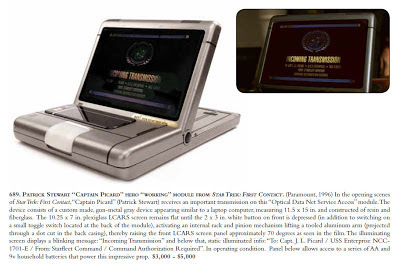 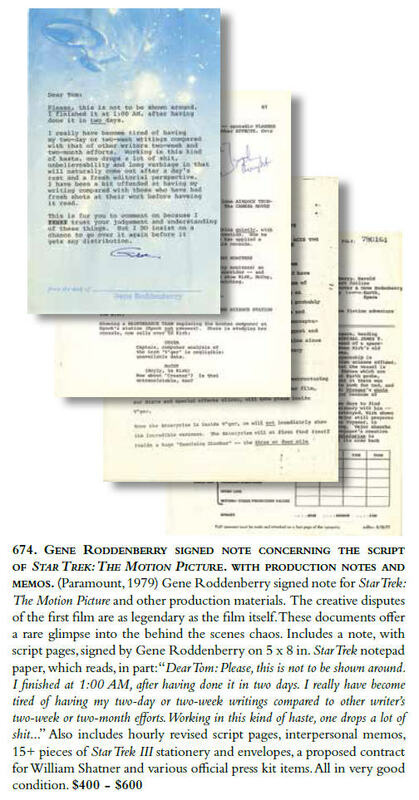 This event marks the first time that a TOS Phaser Pistol screen-matched to a unique episode has ever been offered at auction; and the first time that a major auction house has published such a comprehensive write-up of a prop in its catalog that contains not only one, but multiple, annotated images in a sincere attempt to convey highly detailed authenticating information to the public -- and Profiles should be commended for this. 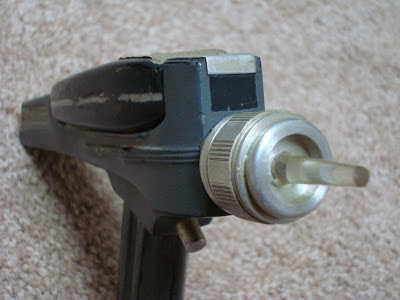 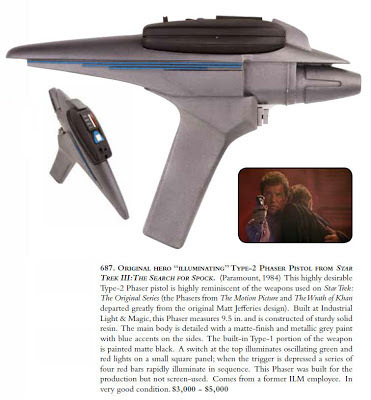 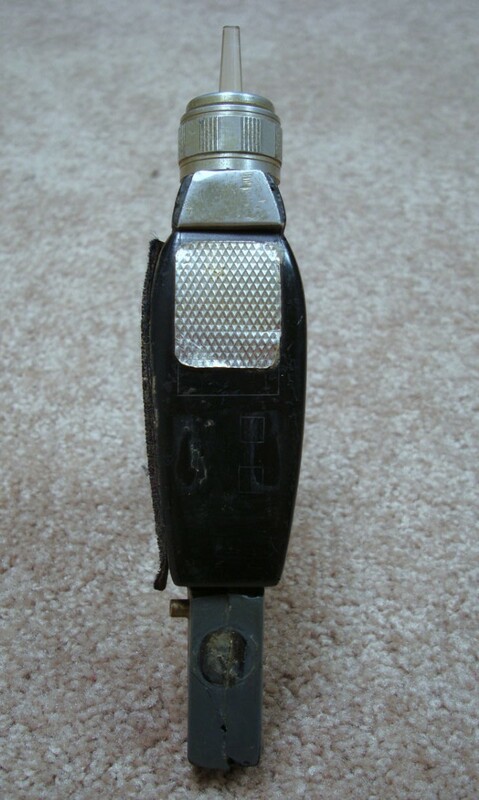 Included in the Profiles catalog description are multiple photos that show the phaser for sale side-by-side with similarly positioned Original Series episode prop screenshots and numerous annotations about matching geometry and matching unique scratches, paint blemishes or other specific design elements. 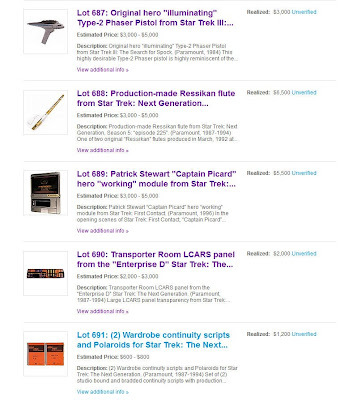 As the owner of the Type 2 Phaser Pistol that is being offered in Hollywood Auction 56, it is an honor for me to have this exceptionally rare prop consigned to a Profiles In History sale, and I am pleased to present below as part of this article the complete set of annotated images (several of which did not make the auction catalog) as well as some additional high resolution photos of this "Assignment: Earth" phaser. 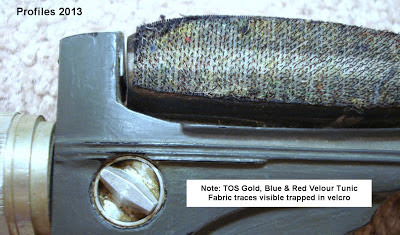 It is by virtue of several precisely matching characteristics - a uniquely contoured scratch line and a small blemish formed by excess dried paint on the front face of the pistol body, as well as the relative positions of the grooved regions on the silver nozzle ring - that the Type 2 phaser pistol offered in Hollywood Auction 56 can be uniquely identified as the specific prop seen in a screenshot from the highly memorable time-travel episode "Assignment: Earth", the last episode of the 2nd season of TOS. In addition to this main finding, the Profiles write-up specifically discusses the use of screenshots from other TOS episodes to match particular features/ contours / design elements observed to exist on the prop for sale; but is very clear in asserting that it is the design characteristic alone - such as the hand grip geometry or a mold flaw in the rear fin design, etc. 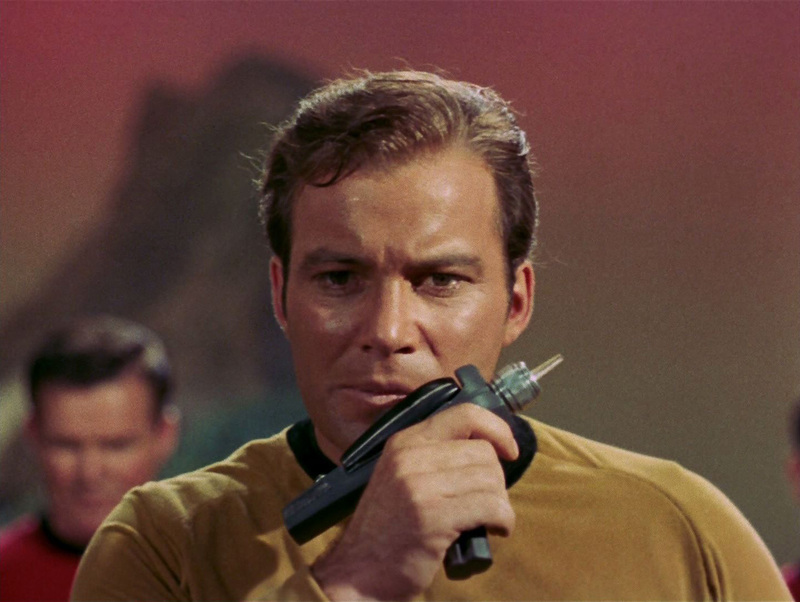 - that has been matched to a screenshot from a different episode; and not the unique TOS phaser prop itself. 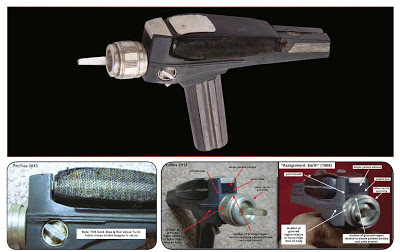 In particular, the auction description notes that a tiny mold flaw/ridge line deviation in the rear fin appearance was matched on-screen in "Spock's Brain"; the integrated "one piece" handle and main body construction of the pistol component of this prop was matched on-screen in "The Cloud Minders"; and the design of the hand grip section with an elongated central groove extending along the entire length of the handle was matched on-screen in "Plato's Stepchildren". The "mold flaw" detail match observed on the "Spock's Brain" screenshot is a particularly exciting discovery. 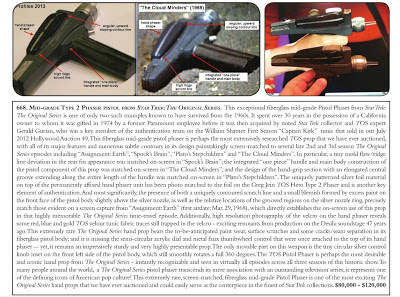 By comparing the two props seen in the annotated image presented immediately below, it is apparent that they are not the same unique phaser pistol since, along with other details, the silver nozzle was attached to the front of the pistol body differently on the two pieces , and thus the position of the grooved regions on the nozzle ring relative to the rest of the body details do not match. 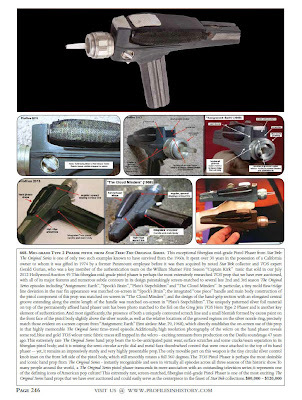 Yet the two fiberglass pistol bodies clearly came from the same mold and feature the same ridge line deviation/flaw in the rear fin area that could only be introduced into the appearance of both props from the very same mold! The crooked ridge lines share the precisely identical geometry, and thus one can conclude that there exists a precise match between these two phasers on other appearance characteristics such as contour lines and curvatures which are also imparted to individual props from the mold that was used to fabricate them. In the following three composite images containing Original Series screen captures shown side-by-side with modern day photos of this "Assignment: Earth" fiberglass phaser pistol, please note the matching overall contours and matching designs of the major hand phaser and pistol body components that are seen from multiple camera angles -- in addition to the numerous very subtle contour matches specifically mentioned in the annotations. 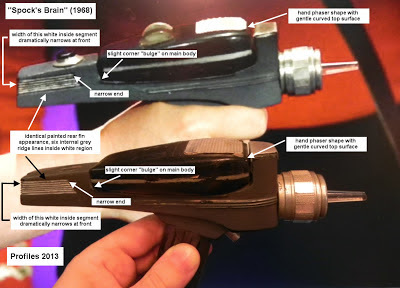 There are perhaps 15 - 20 or more major geometry and subtle design element matches visible in the complete set of composite photos presented within this analysis. 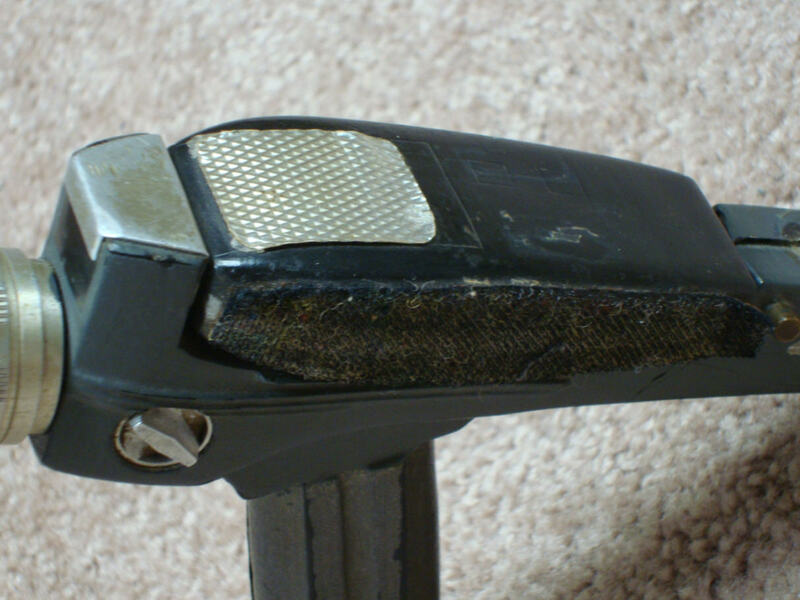 The uniquely patterned silver foil material on top of the permanently affixed hand phaser unit has been photo matched to the foil on the TOS Hero Type II Phaser currently in a private collection, and this material match is another key element of authentication. It should be noted, that while the Profiles description does not specifically assert the usage of this unique prop in any particular TOS episode other than "Assignment: Earth"; it is extremely likely that this phaser pistol was employed elsewhere in the series - perhaps in several other 2nd season as well as 3rd season episodes. Phasers are seen in virtually all episodes across all seasons of TOS, and the multiple traces of gold, blue and red velour trapped in the velcro likely did not get there from usage in just a single scene or a single episode. 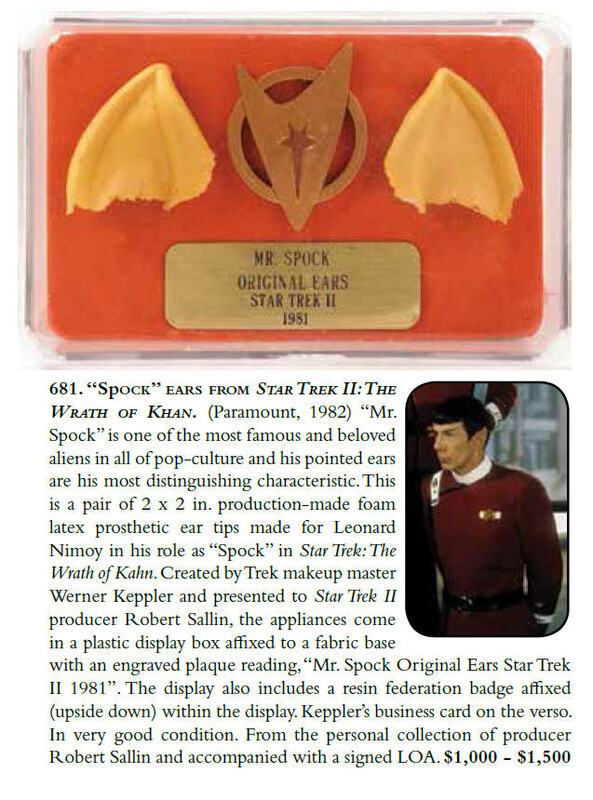 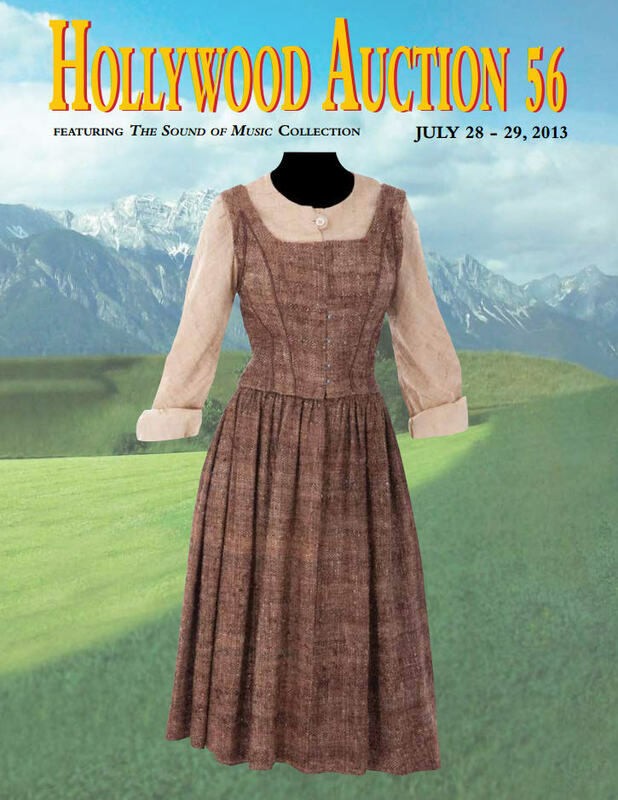 Presented below is the complete Profiles auction catalog description for this extremely rare Original Series hand prop, as well as some additional high resolution imagery. 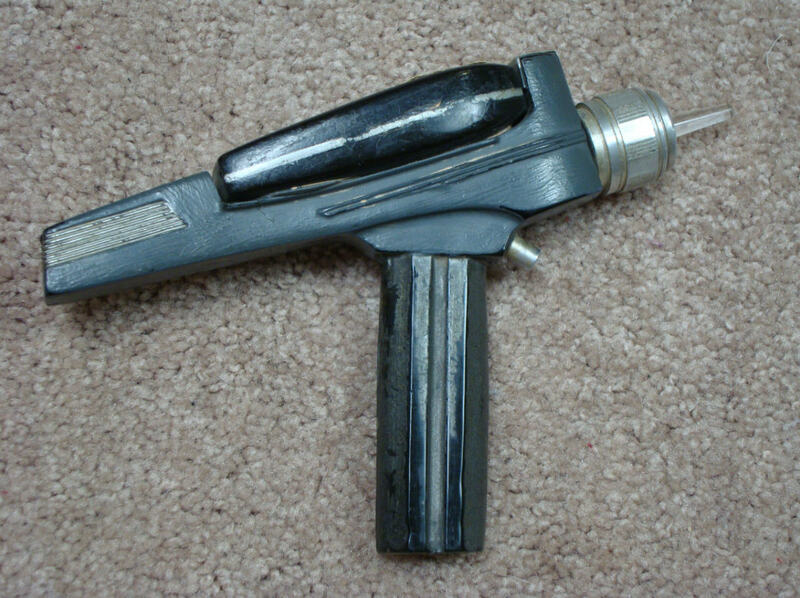 While it does bear the to-be-anticipated paint wear, surface scratches and cracks/seam separation in its fiberglass pistol body; and it is missing the semi-circular acrylic dial and metal faux thumbwheel control that were once attached to the top of its hand phaser; this Type 2 phaser pistol remains an impressively sturdy and very highly presentable prop. 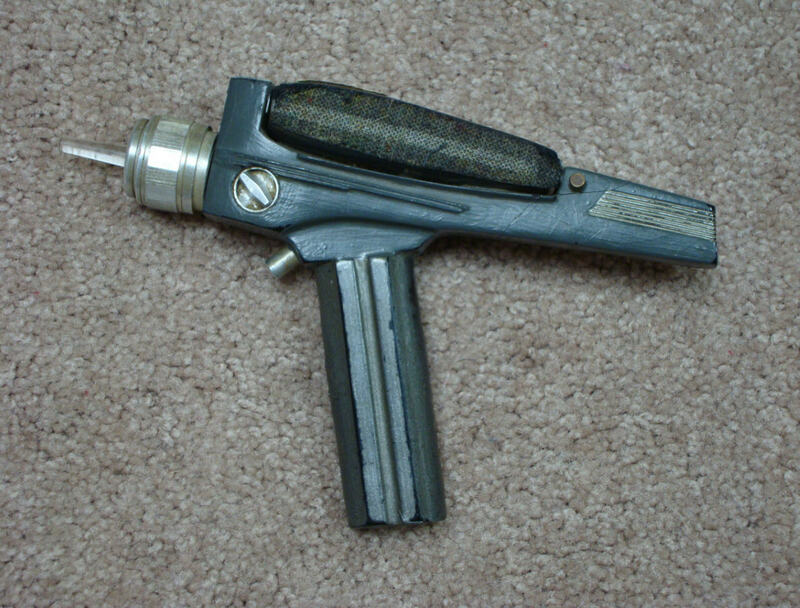 The TOS phaser pistol is perhaps the most desirable and iconic hand prop from The Original Series, instantly recognizable to millions of people worldwide, and, it is my opinion that this specimen - one of only two such examples known to have survived from the 60s - could easily serve as the centerpiece in the finest of Star Trek collections. 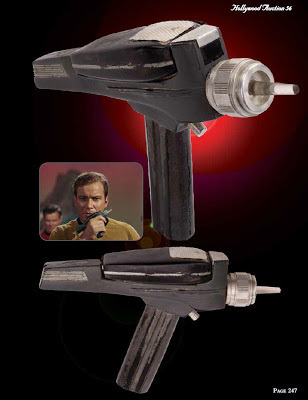 With the recent impressive auction results realized for TOS memorabilia - an Original Series Type 1 hand phaser selling for $79,950 in December, 2011; the early first season Captain Kirk tunic witnessing a final price of $98,400 in July, 2012; and the TOS phaser rifle from the 2nd pilot reaching a total of $231,000 just a few months ago in April, 2013 - it will be exciting to see how this exceptionally rare screen matched Type 2 phaser pistol performs.